...and Rei isn't happy with us! 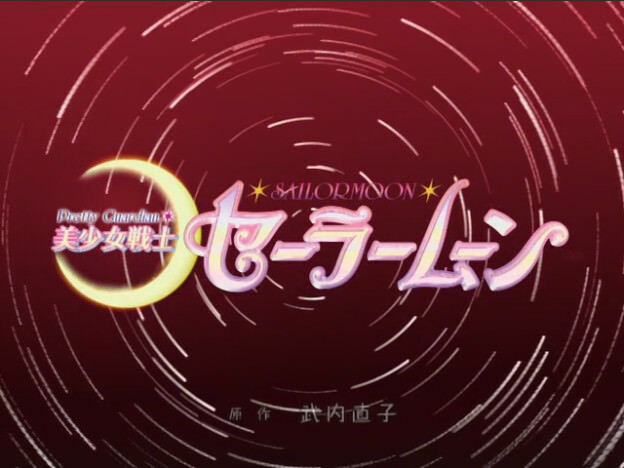 Pretty Guardian Sailor Moon originally ran from October 2003 to September 2004 and had 49 episodes (three more than the anime had for the same storyline). ...also, it would be another 10 years before Sailor Moon Crystal came out. ...set your alarm clocks to 2023! (or 2024). This series, AFAIK, never got an English language release (or even aired outside Japan), the version I'm watching is from the Miss Dream site. Now off to re-watch Act 1! I love this version. 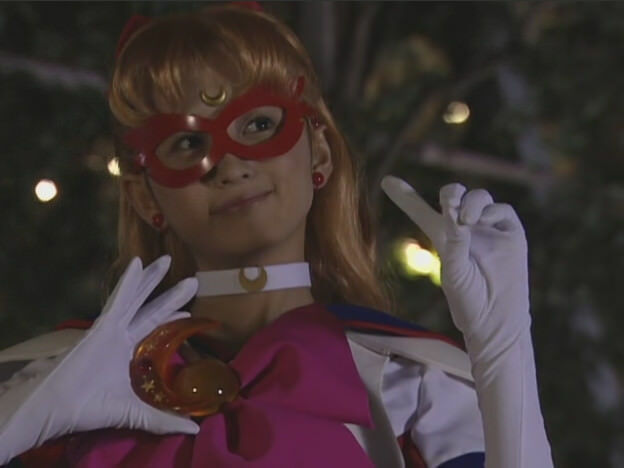 Not least because they did a really good job with the casting (especially the actress for Usagi). Oh boy! Let's start a translation war over whether TV-Nihon, Miss Dream, or Sea of Serenity had the best subtitles! Oh boy, oh boy, oh boy. It must be Christmas already, because I'm getting a present already. I already want your opinion on the combat choreography. Oh, excellent. This is a good show and I hope enjoy it. TV-N is axiomatically the worst. Dunno about the other two. ...looks like a jewellery shop got robbed! ...further glimpse of the perp, and I've just noticed, if you look carefully, you can see a reflection of his face! ...that shop got cleaned out! ...the fleeing perp is wearing a cape, and drops a ring and a rather large gemstone. OOC: a!Mamoru; "Why is everyone suddenly looking at me?" More importantly, why did he stop, what is he looking at? There! On the Rooftop! Is it a bird? Is it a plane? It's SAILOR V! She leaps to the attack! They clash is a flash of light, then break away. ...and suddenly our top-hatted crook realises that his swag bag has sprung a leak. (I think she cut it open with that crescent thingy she's holding, it was a bit fast to see). He hurls it down with disgust, and flees the scene, with Sailor V in hot pursuit (also, ninja-running). ...leaving a fortune in jewellery littering the pavement. Which I will skip, because spoilers! ...and on to a poster of the same girl (in fact, the same picture), which includes her name! I'll leave it to you lot to fill in the missing letters. A hand reaches out from the covers, and fails ineffectually at the CD player. Small Boy: "Usagi! Mum's telling you to get up. Now!" So, this is Usagi's room. ...and we get the first glimpse of our protagonist! Shingo (at least, lets assume that's him) sighs again picks up one of Usagi's many alarm clocks (a square red affair with a pattern of white hearts) and sticks it under the covers. Then, having lit the blue touch paper, he retires to a safe distance. Usagi: "Shingo, you did this!" Shingo looks at the CD player. Shingo: "You had it on repeat." Usagi panics and rushes off to do her hair, it should be noted, that unlike the manga or anime, she does not sleep with it in buns. (Also, it's very decidedly not blonde). Out of shot, we hear her tripping over something. 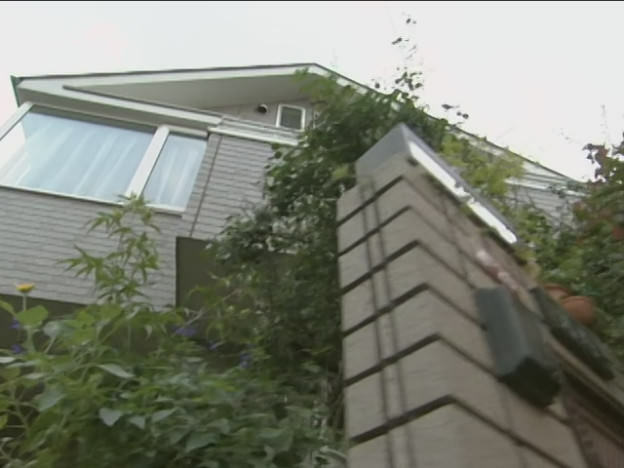 Cut to a dramatic upward shot of the Tuskino residence. Her equally panicking mum is preparing her lunch. Usagi's papa isn't here, as he's involved in the reporting on the break-in to a local jewellery shop. Both mother and daughter Tuskino get distracted watching the news, and discussing Sailor V.
While they're watching, Shingo walks straight past, collects his bags, and leaves. Shingo: "What are you doing?" ...when something hits her in the face! Usagi: "What is this thing! Get it off! Get it off! I can't see!" The thing is a small purple plush cat. 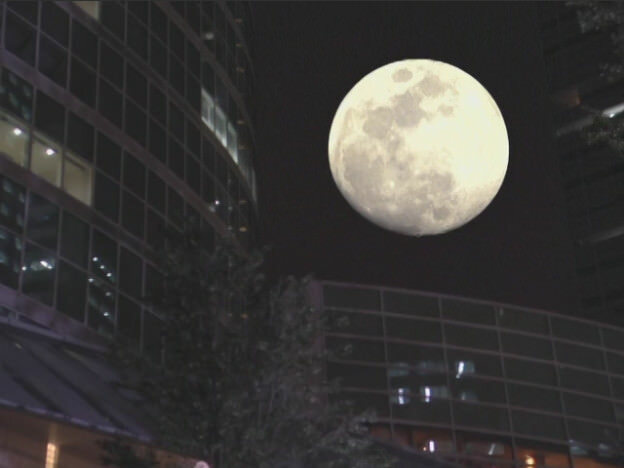 Usagi looks around to see where it came from, including up. ...nothing up there but sky. 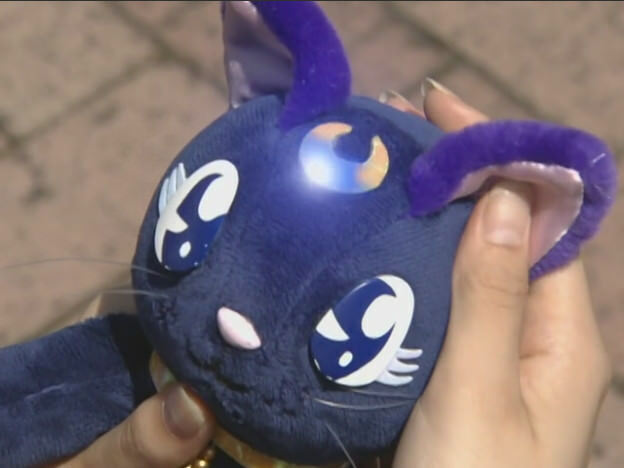 Its a small anime-style plush cat with a golden crescent on its forehead. Usagi: "It's kinda wierd looking." The plush kitty gets to her feet. Luna (for it is she): "I found you!" OOC: a!Luna: <deep breath> "WHY!!!!!!!!!!!!!!!!!!! !OH DEAR SWEET SERENITY WHYYYYYYYYYYYYYYYY!" Nerik: "Have you tried getting a normal cat to act?" Nerik: "whould you prefer.... this!" OOC: Nerik: "Alternatively, would you rather be played by a normal cat on drugs." Nerik: "Think of it this way, 2003 CGI, with fur, you're probably the most expensive thing on the show." Nerik: "Anyway, I'll change my avatar to Basil Brush in solidarity. Cut to school, and Usagi is getting mauled by her teacher. 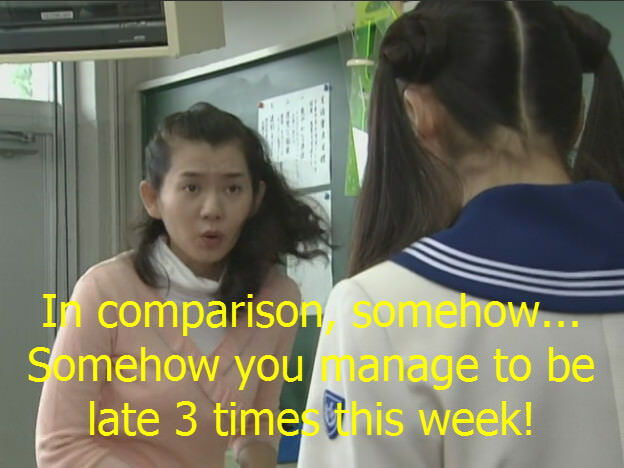 The teacher, who I'll assume has retained the name of Haruna, compares Usagi unfavourably to one of her more diligent students. Ami (thinking): "Damn-it teach! Stop drawing attention to me!" Haruna: "You've been late THREE TIMES THIS WEEK!" Near the back of the class, a girl smirks. Later in the day, and we get confirmation that the teacher is, indeed, Miss Haruna, and she's tasked Usagi with cleaning the classroom. Usagi... is not a happy bunny. It's Naru, and she's here to help. Naru: "There's no way I'd leave you behind." OOC: a!Usagi: "great, now I'm feeling guilty... like how many times did she show up in season 'S'? IS SHE EVEN IN THE NEXT SEASON?" ...and we get confirmation, in this universe, Minako is a pop-singer. OOC: a!Mina: "Go alt-universe me!" after school, they head off to the Crown. 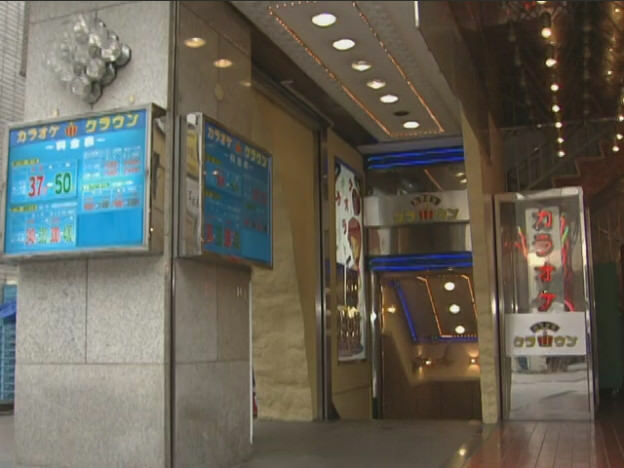 ...which is now a karaoke bar! 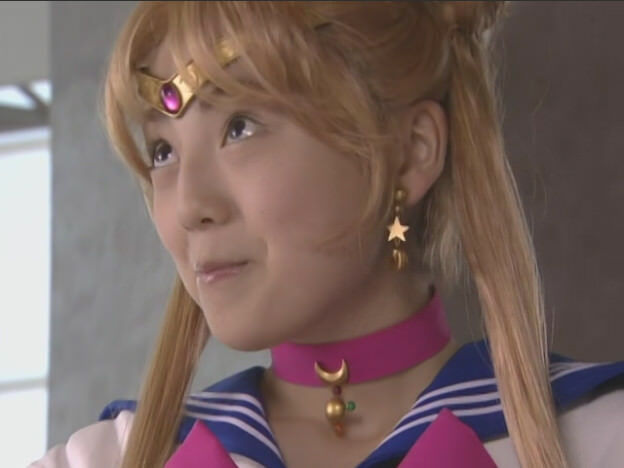 ...oh, and that song that Usagi had on repeat at the begining... is a Minako Aino song! Looking at the lyrics, I can see why Usagi likes it. Over food, the two girls chat turns to Renaissance Hall. 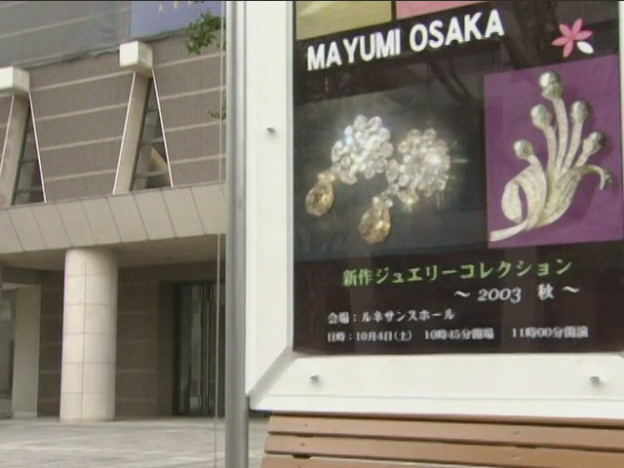 ...it turns out that Naru's mum is a famous jewellery designer! ...and she's putting on a show. ...and Naru has a couple of backstage passes, so they go go and have a look while they set up. Usagi oggles the models: "They're so THIN." While Naru, her mother, Usagi and the sate director watch the rehearsals, unbeknown to them, a small animated plus cat is sneaking around the show-room. Digging deeply into the FX budget. After the rehearsal, Usagi follows the models into the changing area, grabs a dress, and does the old 'hold a dress in front of you to get some idea what you'd look like in it' thing. She rapidly gets depressed when she realises she's not really built to be a model. She goes to put it back, and blunders into a guy (literally)... who gets dramatic music! He says nothing, and stalks off. A stage-hand rushes past, looking for the models. Dramatic guy pauses, and looks at Usagi. Usagi (flustered): "Oh no, You're mistaken, I'm not a model." Dramatic Guy looks her up and down, disdainfully: "I can assure you no one was thinking that, don't worry." Usagi looks down at her knees: "What's your problem?!" Dramatic Guy smirks and leaves. [oo]a!Usagi and a!Mamoru: "Where we ever like that?" Usagi aggressively barges past dramatic guy. Dramatic guy glares at her, and is then distracted. The staff are laying out the jewellery in what should be a secure room. Dramatic music starts playing again. 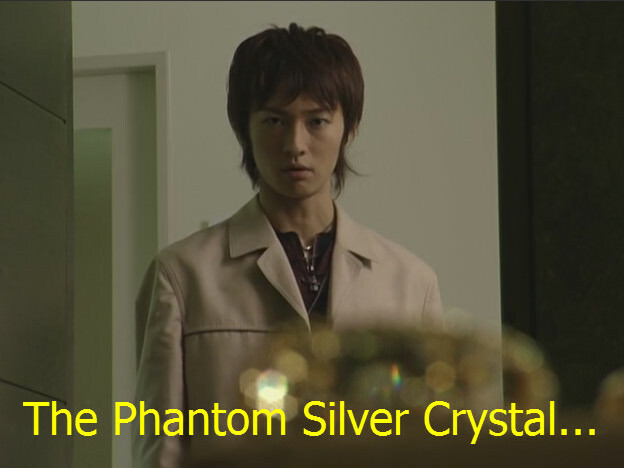 Dramatic Guy: "I might find it here..."
Ok, so, he is Mamoru. And then this crawls out of a ceiling vent! Mrs. Osaka is on the phone to Naru, looks like she'll be pulling another all-nighter. It should be noted that Mrs. Osaka is using a mobile phone. Naru offers to maker her some lunch. Mrs. Osaka would like some of Naru's special cutlet sandwiches. Mrs. Osaka hears something, turns round, and looks with horror at the thing behind her! Cut to... the Tuskino residence. A sleepy Usagi puts her head down to sleep. But she can't sleep... something is out of place! ...namely, a plush kitty lying by her pillow. ...the same one that fell on her this morning. She's more than a little surprised when Luna starts moving and talking to her. ...and attempts to flee the room. Luna: "Please listen to me!" 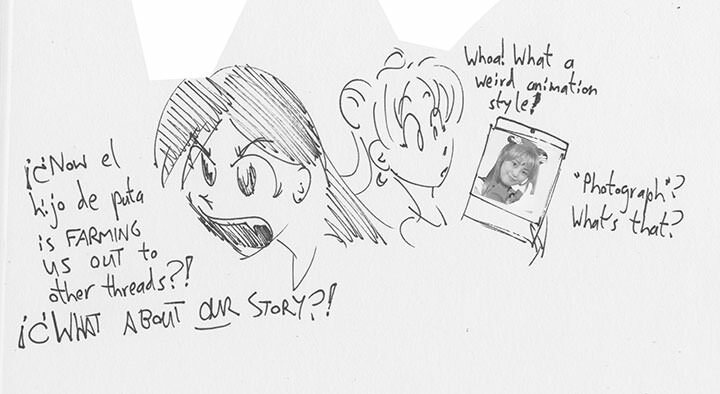 Luna attempts to brief Usagi on the situation. A great evil threatens your planet. Only the Princess and her four Soldiers can fight it. 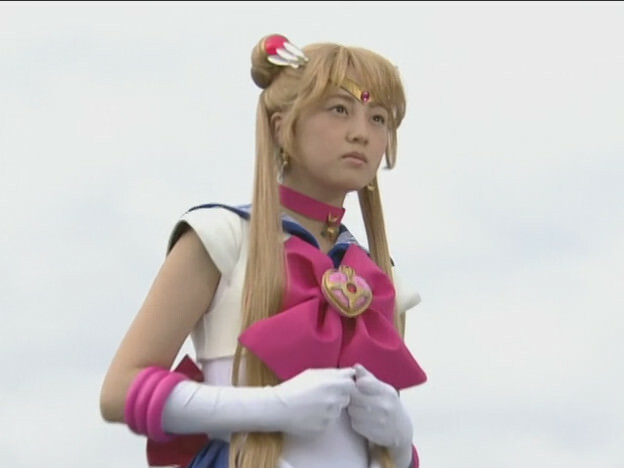 Usagi is one of the four soldiers. Not helped by the fact that Usagi is visibly flinching whenever Luna makes a sudden move, and Luna likes to pace while expositing. Usagi thinks for a bit. Usagi : "Oh, I see!" Usagi gets back to bed. Usagi thinks for a further moment. Luna jumps on her, and paces around a bit. (I quite like Luna's body language here). Unfortunately, at this point, the fansubers stopped translating Luna's speech (they subtitled Usagi counting sheep just fine). Luna: "But you're the only one that can see the crescent on my forehead!" ...but she did trace it with her fingertips! Luna leaps to the window. 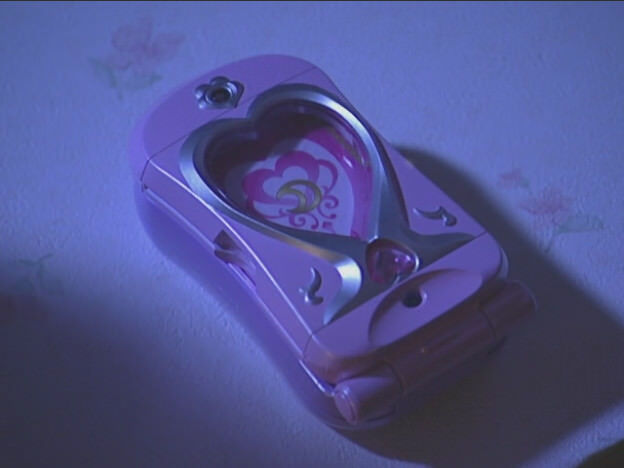 Luna: "If you feel like you believe me, use this to contact me." Luna: "...Don't get to close to that jewellery show. It's dangerous!" Usagi definitely heard her, and is looking at the Lunaphone. Usagi: "So, I'm dreaming of a magic cat that hands out mobile phones." Firstly failing to recognise her own daughter. OOC: a!ChibiUsa: "Eh, that is a thing that happens." Mrs. Osaka: "Do you need something?" Mrs. Osaka: "What is it?" Naru is now getting increasingly concerned. Naru: "You asked me to bring you this yesterday." Naru is now getting suspicious. Naru: "Whu don't you tell me what's in it? You requested it after all"
Mrs. Osaka continues to walk closer, Naru is now backing off. 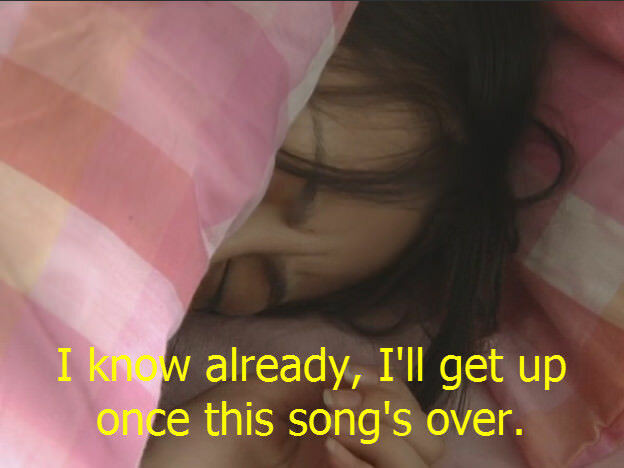 Cut to, Usagi waking up. Usagi: "All right! no school!" She rushes out, leaving the Lunaphone on the windowsill. Naru: "Say It! Say what you asked me to bring you!" Mrs. Osaka: "Just give it to me." Mrs. Osaka: "Mumma's very busy!" Naru: "NO, YOU'RE NOT MY MOTHER!" Naru realises what she just said. The thing with her mother's face: "I'm you mama." Naru flees, dropping her mother's packed lunch. 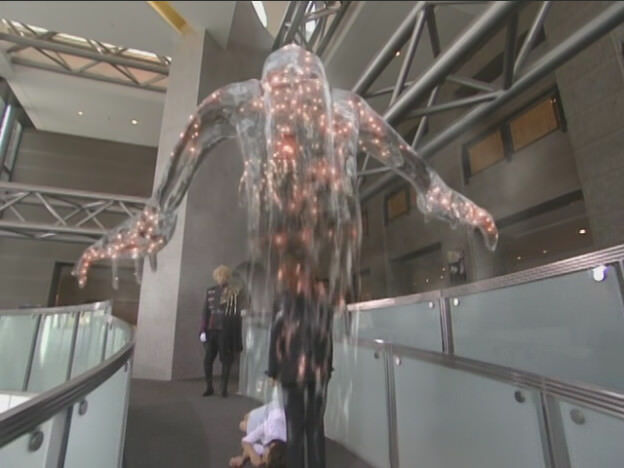 The thing goes after her, at a relentless walking pace. Naru bumps into a stagehand. Naru: "Help me, mama's acting weird!" He stares at her, impassively, then smirks a sinister smirk. OOC: a!Jadeite: "On the other hand, alt-me looks sharp!" Jadeite stuns Naru with a finger poke, then gives his instructions to the thing wearing Naru's mother's face. You know the drill, drain the audience of energy to give to Queen Beryl. ...who has just had her name mentioned for the first time. The thing with Naru's mama's face is relieved to be MANOS, who is apparently possessing her. Luna saw the tail end of this. Luna: "Oh, no! I've got to do something." Luna heads off, and is hit on the head by a falling purse! Usagi is trying to break into the building! Fortunately, her fall of several storeys onto hard paving stones is broken by a small plush cat. Usagi suffers a sore behind, Luna suffers a sore everything. Luna: "Usagi, what are you doing!" Usagi: "I didn't have my ticket, so I couldn't get in." Luna: "Well, get off me!" Cat and girl seem to have suffered no lasting injury. Luna: "I said this place was dangerous, why are you here?" Usagi: "I don't know why, but I know Naru's in trouble. I have to help her." Luna: "I think I know why your a soldier now." Luna: "Let's go help Naru." Cut to, the changing room, a plush cat and a girl peep through the windows. Luna: "Use your phone to take a photo of one of the models." Usagi pulls the Lunaphone out of her pocket. Usagi photos one of the models. Phone: "Apparel overlay parameters recorded... overlaying." Suddenly, Usagi is dressed like the model. Luna: "You can changing into anything you take a photo of. You should find it easy getting in now." Usagi sashays in like she owns the place, the guard even holds the door for her. ...and gasses everyone with purple mist. ...the audience had time to panic before being overcome. MANOS reaches down to drain the energy from one of the models, but is interrupted by Usagi (who has changed back into her normal clothes). MANOS and Usagi glare are each other across a room shrouded with purple mist. MANOS: "Why are you not affected?" Luna: "Because you're a soldier!" Usagi: "Because I'm a soldier." MANOS manifests in its full, handy form. She runs for it, MANOS doing its trademark 'relentlessly pursue foe at walking pace.' 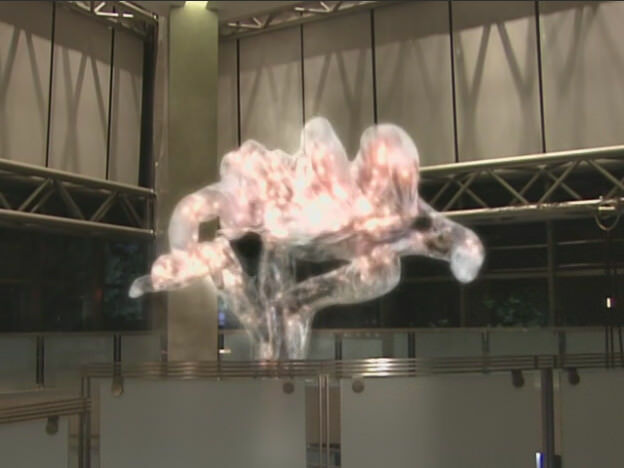 But, if you manifest extensible hands of ectoplasm, maybe a walking pace is all you need. Luna: "Usagi, do it now." Usagi: "Mood Prism Power... Make Up." 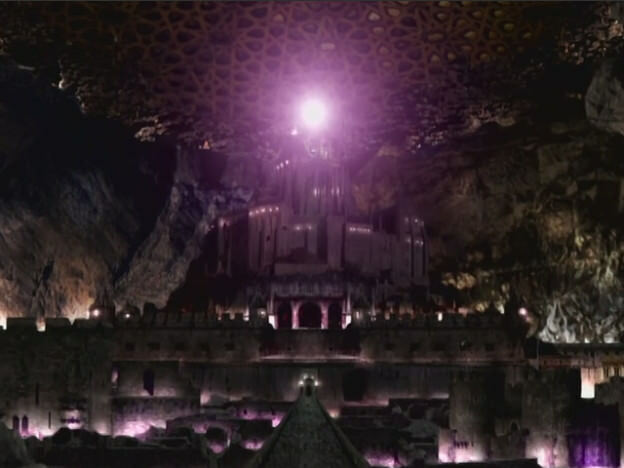 As [MENTION=1833]Shadowjack[/MENTION] put it... Starkly Coruscating Transformation Sequence! ...and this one is a bit literal in the 'make up' bit as well! MANOS is shocked at this development. Sailor Moon: "In the name of the Moon, I will punish you!" ...was that an addvert buffer? then? Jadeite was watching... at least the end bit. 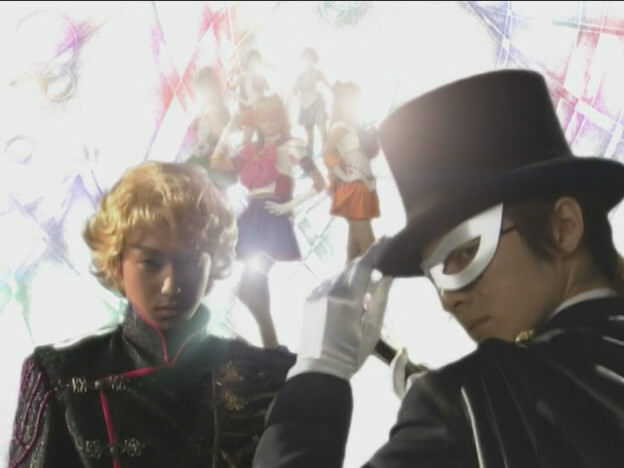 Jadeite: "Sailor Moon, who are you?" Sailor Moon is a little distracted by her new threads. 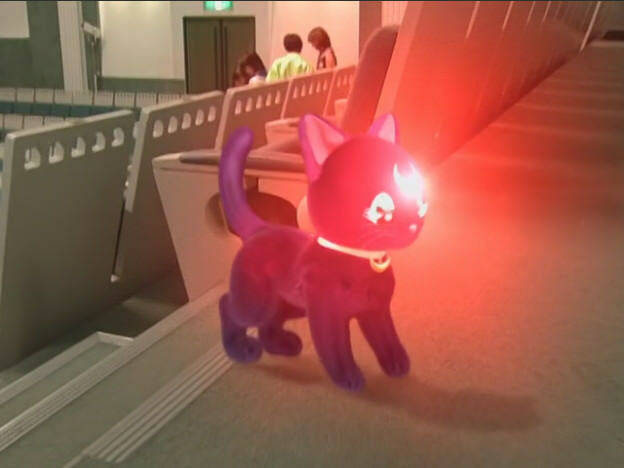 Luna: "The youma's still coming!" Sailor Moon: "I'M STILL SCARED!" Flees, MANOS lashing at her. Luna: "Calm down, you should already know how to fight. Because you are one of the chosen soldiers!" Tiara: "Downloading combat protocols... combat protocols downloaded... initialising..."
Sailor Moon: "I know Moon-Fu." (Technically, given what she's fighting is CGI, the actress would have had to be fighting empty air. OTOH, if they did the CGI after the live action, making things line up shouldn't be too hard). Moon-Fu, a more civilised fighting art for a more civilised era. OOC: a!Usagi: "That's all very well, but how is she going to defeat MANOS without squishing Naru's mum?" 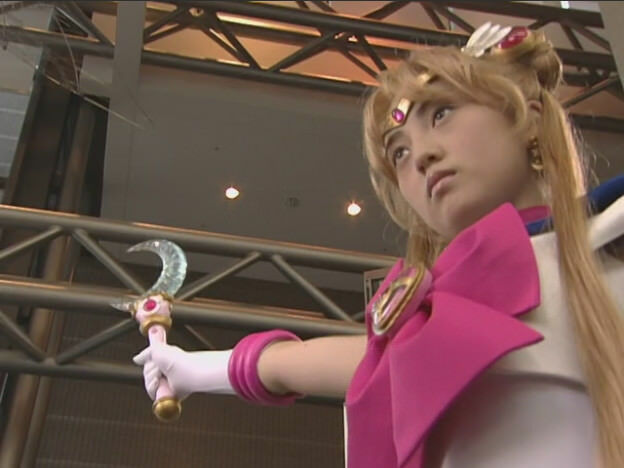 Sailor Moon pulls the Moon Stick out of her brooch. OOC: a!Usagi: "Oh, that's how." Sailor Moon: "Moon Healing... Escalation!" ...and the sequence for that includes a lot more twirling, and an axial spin. MANOS is banished, or maybe disintegrated. Surprise Jadeite throwing crystal spike thing from behind! Sailor Moon turns just in time to see a razor-edged pointy crystal of death about 30cm away from her face! Tuxedo Mask helps her to her feet. Tuxedo Mask: "Well, I didn't find what I was looking for, but I got to see something interesting." Sailor Moon (running after him): "Thanks for saving me, err.. who are you?" Tuxedo Mask (raises cape dramatically across his face): "Tuxedo Mask." Sailor Moon: "...but... he's pretty cool." Naru wakes up in the breakout area. A ball of flame manifests above a cluster of purple crystals. A hand with long, elegant, red fingernails grasps the flame. A red-haired woman in spikey evil sorceress attire is the owner of the hand. Queen Beryl (for she is she): "Who is this? Interfering with my plans?" The camera pans out, something terrible begins to manifest around Queen Beryl. ...and Sailor Moon is coming to terms with her new job. Luna: "the real battle stats hear." Flash glimpses of other girls in similar outfits with different colour schemes. And a group shot, which inexplicably includes Jadeite. Sailor Moon: "Well, I feed excited, but also a bit anxious." She also seems to be practising the ancient superhero art of standing dramatically on top of skyscrapers. (She's only a beginner so she's on a short one). Oh boy, do these things eat up time. From what I've seen so far, yup. I'm thinking of adding posts on actress bios, maybe. Only got the Miss Dream ones ATM (they were easy to find - then again, I haven't gone looking for the others) - and I have a few niggles. There's one section where Luna's dialogue isn't subtitled at all, and we just get Usagi counting sheep. Where is is overlapping dialogue (characters talking over a TV news report, or a song) both bits get subtitled in the same place, making it easy to lose track. Then again, I originally watched Isekai no Seikishi Monogatari on fansubs, there were three separate fansub groups, and their results were... variable... between reasonable and gibberish. My favourite subtitles are the ones on the streaming anime version of Sailor Moon I watched the first three seasons on (need to finish up, when I've finished this). 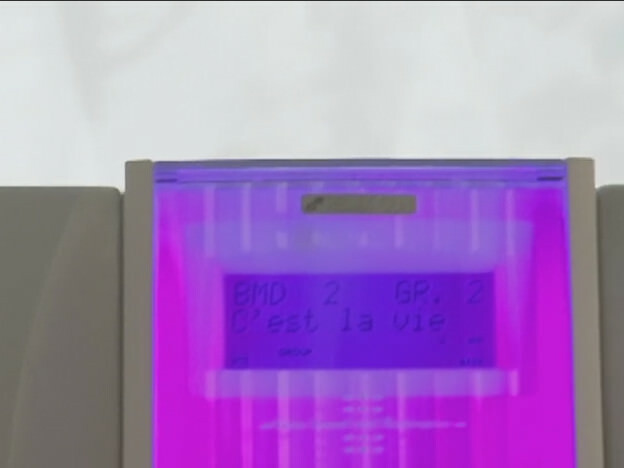 They subtitled almost everything, and, where subbing text, would try and match the text styles. The only problem was they tended to colour-code the text of major characters, which could be a spoiler. well, it's different, I'm going to wait and see what it looks like with more characters in the mix. 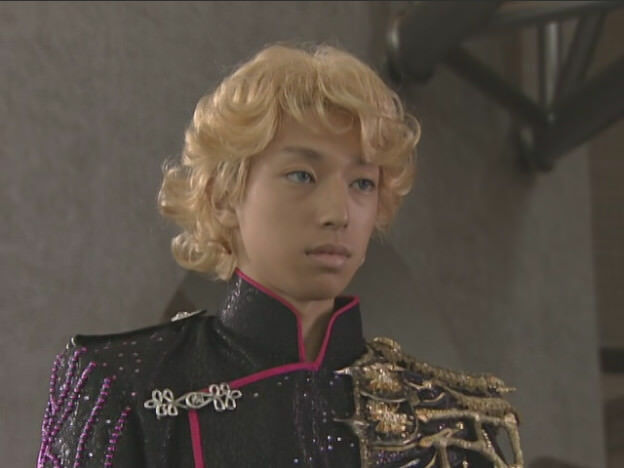 ...for Usagi/Sailor Moon, it kinda fits. ...but then again, so did the wild dodging she did in the early anime. So, one fun fact I know about this series is that it aired on all the same days as FullMetal Alchemist and had the same music composer! (Different networks, though; they say FMA took over the timeslot of Gundam Seed and then gave it back to Gundam Seed Destiny.) 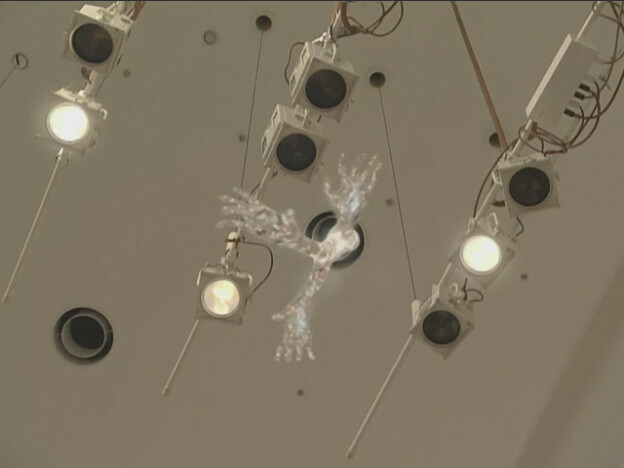 FMA's soundtrack was usually more percussion-based, but you can still recognize those flighty strings in a few tracks. And then Usagi's actress got to voice a character in FMA's follow-up movie! "Aren't you worried about what will happen to the Earth? "You know, I couldn't believe such an ordinary girl like you would be a Guardian. "But the crescent moon on my forehead says that you are."